Government Shutdown Makes Its Debut In Campaign Ads : It's All Politics The federal government shutdown ended just a week ago, but it's already surfacing in ads for candidates in both parties. It's a preview of how candidates plan to frame the latest budget crisis in the 2014 election season. 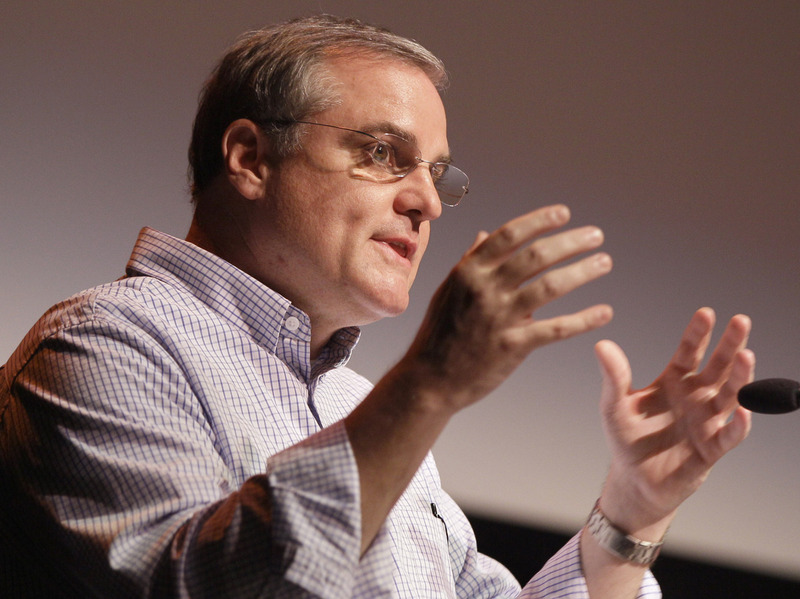 Sen. Mark Pryor, D-Ark., speaks in Stuttgart, Ark., in August. Pryor's latest ad in his re-election campaign hammers his GOP opponent's position on the government shutdown. Tennessee state Rep. Joe Carr, who's challenging Sen. Lamar Alexander in the GOP primary, has released his first television ad. Democratic Sen. Mark Pryor's "$24 Billion" ad asserts that GOP Rep. Tom Cotton's agenda is "too reckless" for Arkansas. The federal government shutdown ordeal only recently ended, but candidates on both sides of the aisle are already on the air with ads aiming to turn the impasse to their advantage. Two television spots released this week preview how candidates plan to frame the latest budget crisis, which helped drive the popularity of Congress to all-time lows, in the fast-approaching 2014 midterm election season. In Arkansas, one of the GOP's best Senate pickup opportunities in 2014, Democratic Sen. Mark Pryor went on the offensive Tuesday, launching a TV ad that places the blame for the shutdown on his likely general election opponent, Rep. Tom Cotton, and other House Republicans. "Tom Cotton cost us billions," a narrator says to begin the ad. "The government shutdown cost America $24 billion. Cotton and a small group of reckless congressmen took our country to the brink of default. His irresponsible actions weakened our credit and damaged our economy." The ad went on to tout Pryor's bipartisan credentials and his role in ending the budget standoff. "Fortunately, wiser heads prevailed," a second narrator says as a photo of Pryor with moderate GOP Sen. Susan Collins of Maine appears. "Senators like Mark Pryor brought Democrats and Republicans together to end the shutdown and responsibly cut spending." The Cotton campaign dismissed the ad, saying one of the concessions Cotton and other Republicans pushed for during shutdown negotiations, a delay in the implementation of the Affordable Care Act, is "badly needed" following the law's recent rollout "debacle." The shutdown is also surfacing as a major issue in GOP primaries, where a number of Tea Party candidates have already stepped up to challenge incumbent Republicans for failing to buck the status quo in Washington. Tennessee Republican Sen. Lamar Alexander took heat from his conservative primary foe, state Rep. Joe Carr, in a new ad this week for helping to secure more funding for a dam along the Ohio River as part of the deal to reopen the government and raise the debt ceiling. "Washington's broken and it's getting worse. For weeks, conservatives fought the good fight to cut spending and defund Obamacare," Carr says in the spot while standing in front of a Tennessee dam. "But Lamar Alexander was behind closed doors trading favors. Amid the chaos, Lamar snuck in $3 billion for a dam like this one. Three billion for a dam? No darn way!" Alexander's camp defended the project, contending that increasing the budget for construction of the Olmsted Locks and Dam from $1.7 billion to $2.9 billion will save taxpayers hundreds of millions of dollars in the long run. "If Pinocchio had written this campaign ad, his nose would be a foot long," Alexander campaign manager Alice Rolli said in a statement. The Tea Party-aligned Senate Conservatives Fund also criticized Senate Minority Leader Mitch McConnell for the "earmark," dubbing the project the "Kentucky kickback." SCF has not endorsed a candidate in the Tennessee race yet, but the group backed the primary challengers to McConnell and Mississippi GOP Sen. Thad Cochran in the days after the shutdown ended.